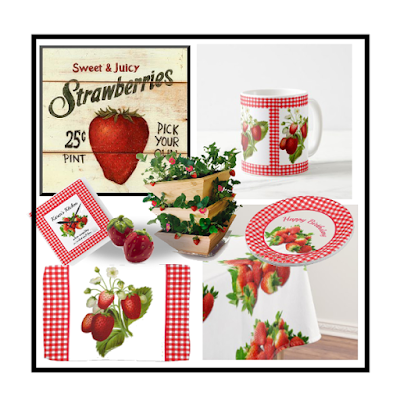 One of the best ways to add cheerfulness to your white kitchen is to decorate it with strawberry accents such as strawberry pattern kitchen towels with a red gingham border, wall clocks, coffee mugs and more. Strawberry kitchen accents are a good choice for a special occasion or for every day throughout the summer season. You could cover the kitchen table with a red strawberry pattern tablecloth then in the center add a bowl of freshly picked strawberries. Another way to accent your kitchen with strawberries is to decorate your baker's rack. 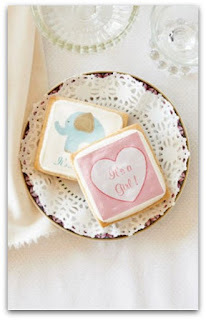 Add strawberry pattern coffee mugs, plates and canisters. Roll coordinating kitchen towels in a wicker basket and display on your baker's rack. When you accent your kitchen with red strawberry pattern decoration you will be adding coziness to this room. 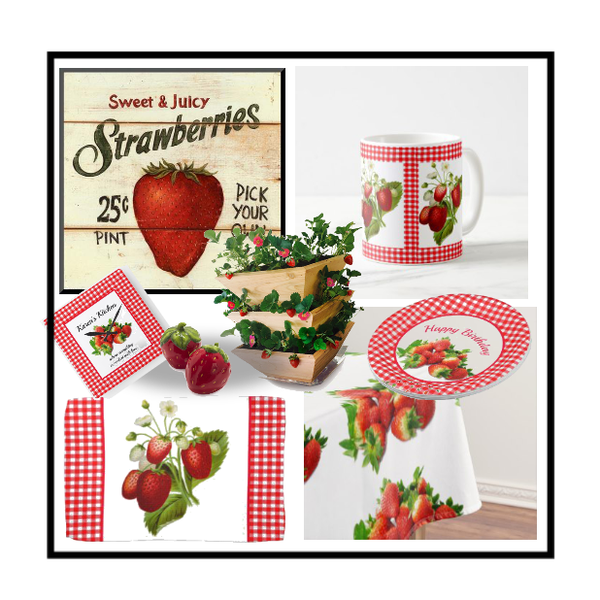 Shop for strawberry decor for your kitchen at Zazzle.com. You will find unique product designs that have been created by independent artists. Here are a few of my favorite strawberry kitchen products. If you are interested in any of the products then click onto the highlighted blue product title below the image. You will then be taken to the designer's store where you can view a larger image of the product, learn more about the product or buy. Decorate your kitchen for the summer season with this darling gingham pattern coffee mug/ This mug features a red and white gingham pattern with tree strawberry plant overlay. The strawberry plant has red plump berries, green leaves, and white flowers. This mug will compliment a classic white kitchen that features country-style decor. Decorate your home with this country-style light switch cover. This cover features a red gingham background with an overlay of a strawberry plant. Pop up your party decor with this red pattern paper plate. This paper plate features a red and white gingham pattern with an overlay of plump red strawberries. Personalize this plate with your own words or buy as shown with "Happy Birthday" This paper plate is fully customizable. 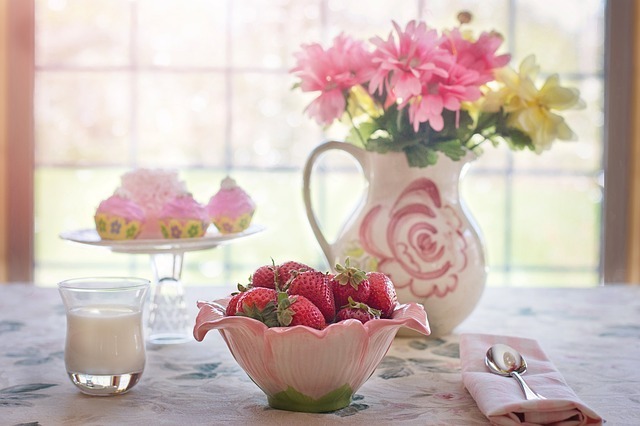 This strawberry table cloth is perfect for a summer party or for everyday use. When you accent your kitchen decor with red strawberry pattern decorations you will add a cozy ambiance to your space. Buy this table cloth for yourself or give as a gift. That special someone will love this cheerful fruit pattern.